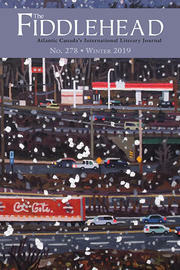 Born in England, Tony Robinson-Smith is a writer and educator currently based in Fredericton. Robinson-Smith’s debut, Back in 6 Years, is the first-hand account of his solo travels around the globe, a feat which he accomplished without the use of an airplane. His second and most-recent book, The Dragon Run, details the world’s very first “Tara-thon” – –a 578-kilometre run across the Kingdom of Bhutan in the Himalayas, which Robinson-Smith completed alongside his wife, Nadya, and ten Bhutanese college students. Set against the backdrop of a pivotal moment in Bhutan’s history, and rendered in stunning detail, The Dragon Run is a contemplative memoir addressing themes of modernity, tradition, and personal happiness. 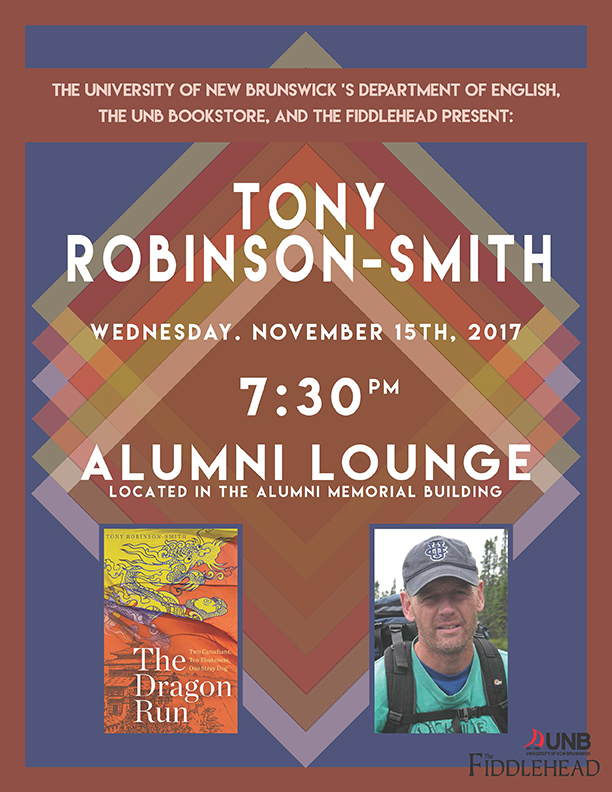 This event, sponsored by the UNB Department of English, the UNB Bookstore, and The Fiddlehead, is free and open to the public.